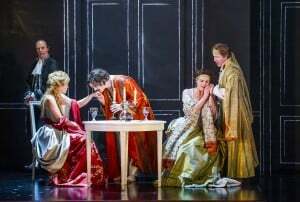 Since its inception, Così Fan Tutte has prompted some markedly polarised critical responses. Produced immediately after the 1789 upheaval in Paris, it was considered an Enlightenment attack on comic opera protocol, too radical for the ancien regime, but falling short of full-fledged Revolutionary romanticism. Later, the nineteenth-century grew to condemned it as salacious and obscene. The twentieth- had it down as trivial and misogynistic. And for us nowadays? On the face of it, the plot of each of two sisters failing to notice that their respective boyfriends, having apparently set off for war, returning in disguise to seduce the other sibling, stretches even operatic storylines beyond any plausible elastic limit. What prompts the soldiers’ action is a wager with the wily Don Alfonso, who insists that the women will succumb. The military honour of rigorously following the Don’s instructions in their corrupting campaign seems to take precedence over any higher romantic ideal. The result proves to be cruel and degrading for all four lovers. Così is now deemed to be a complex, ambiguous fusion of opposites, a collision of faked and genuine emotions, frivolity and worldliness, delicious parody and discomforting seriousness, “Les Liaisons Dangereuses with heart”, according to the librettist Da Ponte’s biographer, Rodney Bolt. Gauging which extreme happens to be operating at a given instant adds to the work’s intrigue and allure. Tim Albery’s 2004 production instantly established itself amongst the very best of some excellent Cosìs from the present century and Opera North’s revival brings predictable rewards for its audience. If anything, it seems even better than before. Don Alfonso is the prime mover from the outset, a fittingly dispassionate portrayal by William Dazeley. It is he who gestures for the start to the Overture and the action to begin. Tobias Hoheisel’s set is contained within an enormous Kodak Box Brownie, and Don Alfonso is soon polishing the lens to remove the powdered artifice of the men’s initial romantic notions. Gavin Ring’s Guglielmo and Nicholas Watts’ Ferrando, as the soldier swains, are ready to defend the virtue of their own lady, whilst unwittingly denigrating that of the other. The wager, speculating on the sisters’ infidelity, is made. 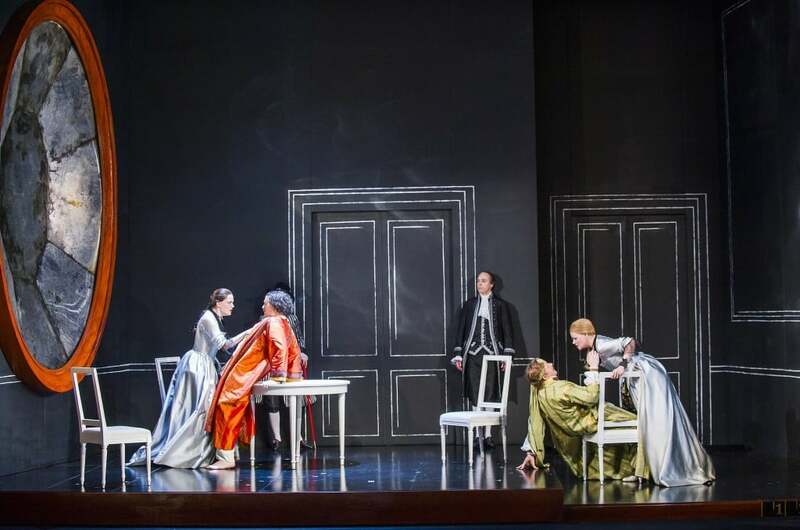 Of the women, Máire Flavin as Fiordiligi and Helen Sherman as Dorabella resist to varying degrees, but the end is never in doubt: heartache, emotional awakening, contrition and a final reconciliation result. Ellie Laugharne as the sisters’ maidservant, Despina, who, in league with Don Alfonso, turns up as a parodied Doctor Mesmer and a lawyer to oversee the marriages, completes the principals. We witness their engagement in an intimate, ever-fluid existence. Each of this sextet is assigned solo musical spotlights. 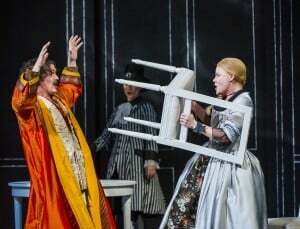 Each sings with a commanding characterisation, whether of love, anger and comic bewilderment, with demands which seem well-suited to them, from Fiordiligi’s famously acrobatic “In The Name of Pity” to Guglielmo’s infectious laughter. 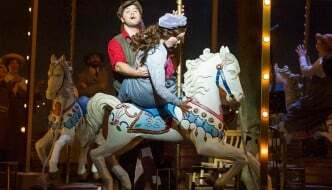 But with so many deceptions and realignments afoot, Così‘s fame as an opera rests on the many-permutated ensemble pieces and it is here that this production scores its high marks. 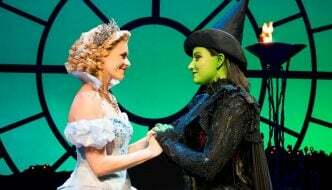 For every number, the balancing of voices is beautifully and artfully done and Opera North’s casting department can consider themselves the real stars of the show. Costumes change as with developments in photographic technology. Fifty shades of grey for the lovers and Don Alfonso’s definitive black and white gradually cede to more flamboyant colour schemes as the deflowering gets ever closer. In the pit, Jac van Steen shows his considerable credentials as a Mozartian and the orchestra, particularly the woodwind, play with a lithe, idiomatic crispness. At the end, now wiser and reunited as before, the lovers leave the camera’s confines to make their way in a different world, leaving only the sagacious Don Alfonso within. Reviewed on 3 February 2016 by Tom Tollett at Leeds Grand Theatre. See Opera North website for further Leeds dates and tour.